When we seek motivation in life, we approach our family, friends, gurus, books, podcasts or psychiatrists for help. We talk with them, share our problems and try to devise a solution so that we can improve our state-of-mind. But, for a change, let’s move away from things related to our species and take a look at the dog kingdom as a source of inspiration. 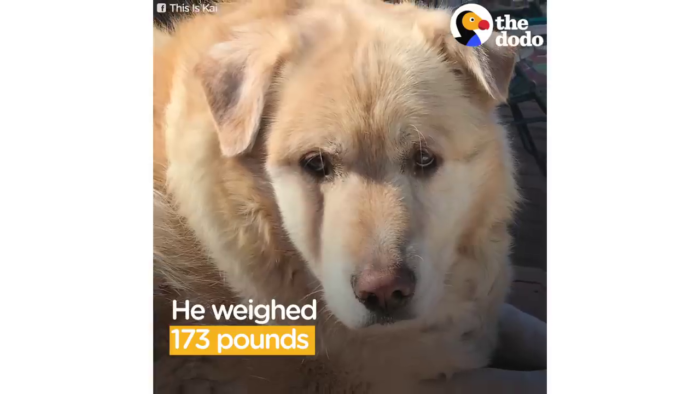 According to The Dodo, Kai used to be overweight as he was mistreated by his previous owners and was taken to the vet to be put down. But there he found his foster mom who took him home and helped him change his life. The vet had told Kai‘s new owner that he needed to lose around 100 pounds. And initially, that looked like an impossible task because he was unable to walk more than a few steps in the park. However, with a healthy meal plan and regular exercise, little by little he shed all that extra fat and transformed himself. Twitter got very emotional after seeing Kai’s journey and thanked him for inspiring them. Getting your dog 100 pounds overweight and trying to put him down is animal abuse. Glad the vet didn't give him up. What a gorgeous boy!!! I wouldn’t have given him up either. So much love and appreciation in a beautiful boy! We all have our personal demons and hurdles that we intend to overcome. But instead of getting overwhelmed by them we should emulate Kai’s energy and grit to achieve our dreams. And we should keep reminding ourselves that even if the world gives up on us, we shouldn’t give up on ourselves.